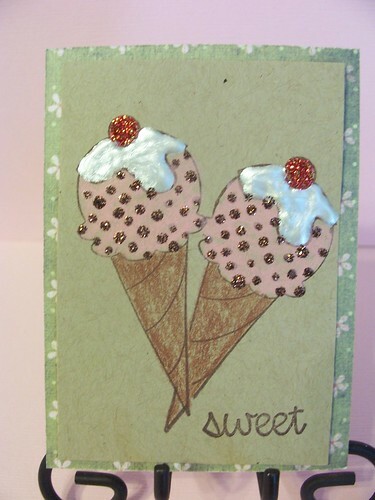 I signed up for an Ice Cream ATC swap in a facebook group I joined. 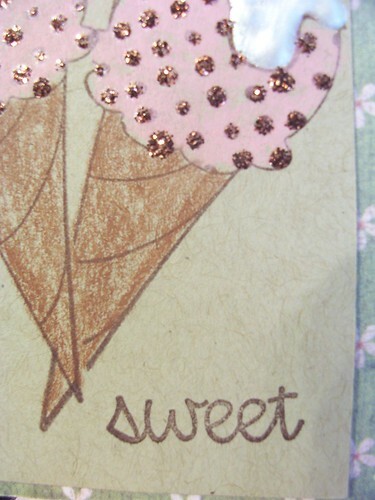 I knew exactly which stamp I wanted to use and that I wanted my ice cream to have some bling on it. I pulled out a piece of white paper and dusted it off to use. I was not in any way thrilled with the results. Truthfully I am having a small love affair (obsession) with kraft paper. I feel I can't make a project without using it. I pull it out for card fronts and insides, to make envelopes, tags, scrapbook pages--you name it I use it. I think it adds an instant soft feel to my projects. It also makes the shabby chic look easier to obtain. 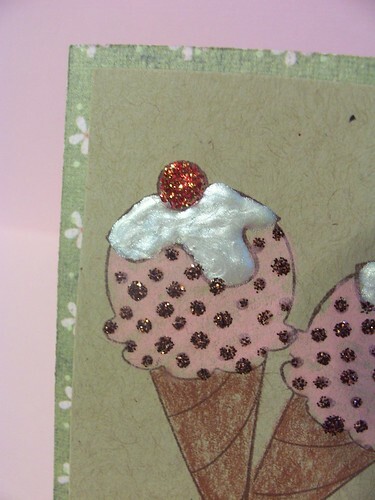 I finised the ice cream cones with candy cane stickles on the cherries, cinnimon stickles for the "chips" and white liquid pearls (love this stuff!) 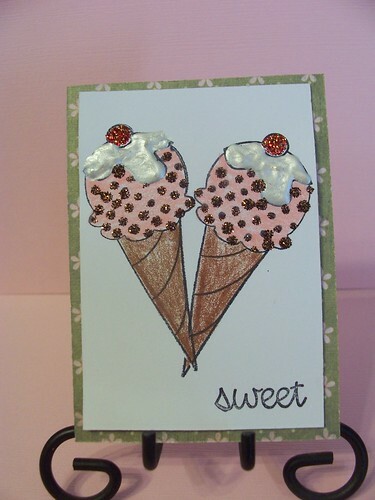 for the "whipped cream".